I’ve made no secret of my dislike for London in the past but my opinion has changed ever so slightly. The only times I've gone to London I went alone for events, got incredibly lost and felt very overwhelmed which is something I don’t often feel. Due to these experiences London has left a bad taste in my mouth. However, I was recently in London with the girls to do research for uni while fashion week was on. We only stayed for one night and amongst all the street style, exhibition visits and accidentally attending a Simone Rocha event we managed some down time too. Adele and I stayed with a friend of mine who lives in Brixton. While we were walking from Chris’ flat to the station we stumbled upon Brixton village which was absolutely gorgeous and super indie. We went for breakfast at ….. Adele had pancakes, said they were the best she's ever had and she's eaten a lot of pancakes and i had a full english which was 100% the fanciest full english I've ever had. We had a wander around the independent stores that we open before we sadly had to leave and continue on with exhibition visits for uni. I’ll be heading back to London at the end of October with Lewis for a Nu Skin event which I’m really excited about and I’m also, for once, excited to visit London again. The images above show exactly what we've been doing for the last week, painting each others faces, again for uni. We have to do 6 makeup looks each and have been running about the flat like mad women organising and shooting the images. you haven't lived until you’re peeling leotard print duct tape off your body in the shower at 1am or scraping lip gloss out of your brows. Third year is definitely upon us but we’re helping each other out through the breakdowns as always. We’ve realised that this time next year we’ll be in our final year and will only have one left year in our beautiful flat. This fills me with sadness so we’re making the most of it while we have it before we have to do grown up things like pay council tax and sort out lives out. Would you believe I had never been to a festival before and then I went to two in the space of a week. A few days after Lost Village festival, (whilst still not fully recovered) Lewis and I headed off to Electric Fields festival. 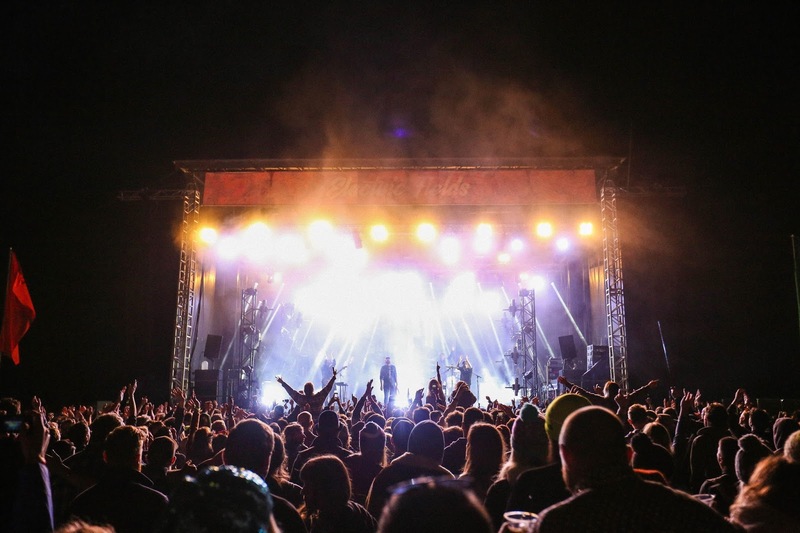 Only a 60 minute drive south of Glasgow / Edinburgh and set in the beautiful grounds of Drumlanrig Castle in Dumfries, Electric Fields is one of Scotlands biggest growing festivals. Thousands of happy Scots flocked to Dumfries for the two day festival and the craic didn’t seem to wilt all weekend. The festival started on the Friday but unfortunately we couldn’t make the first day so Lewis and I arrived on the Saturday at around 1pm. We set up camp, cracked open some dark fruits and people watched some very happy Scottish festival goers that were enjoying the (for once) great weather. Around 10 cans later we headed into the festival (a 1 minute walk from the campsite). Basked in glorious Scottish sunshine was a vintage clothes stalls, fun fair rides, food vans and plenty of stages with music to please everyone. It was so nice to see such a variety of age ranges at EF. Every age seemed to be there and everyone seemed to be absolutely loving life. The line up was jam packed with amazing artists, some home grown Scottish and some from further afield but absolutely every taste in music is covered here. From Frightened rabbit, to Jackmaster, to Fatherson, the options were endless. The one act we had to see was Glass Animals, Lewis has been a long term fan but I barely knew their music at all. We got right to the front of the main stage for Glass Animals and they gave the most amazing performance with front man Dave Bayley jumping down to perform in the middle of the crowd. Which made even me fan girl despite not knowing of the bands existence for very long. I'm back at uni and officially a third year student, which to be honest is a terrifying thought. The workload has more than doubled but no doubt me and my girls will get through it all somehow. I went to Glasgow today with Lewis, which was surprisingly only my third time there. The shopping in Glasgow is so much better than Edinburgh and I could've spent so much money. Last year I spent so all of my student loan in such a short period of time that I couldn't afford my rent. Trying to be mature this year to avoid that from happening again! I picked up this jacket from Zara for only £29.99 and these trousers from Topshop for £39.99. Lost Village is now, sadly, a distant memory. Something about being at Lost Village makes you forget what life was like before, and what life will be like after the festival. It was like we were in our own world, a world full of amazing outfits, house music and expensive food. I'm back in Edinburgh, working away and preparing to start third year next week. I honestly feel like I've been in uni for two months and it's been two years. 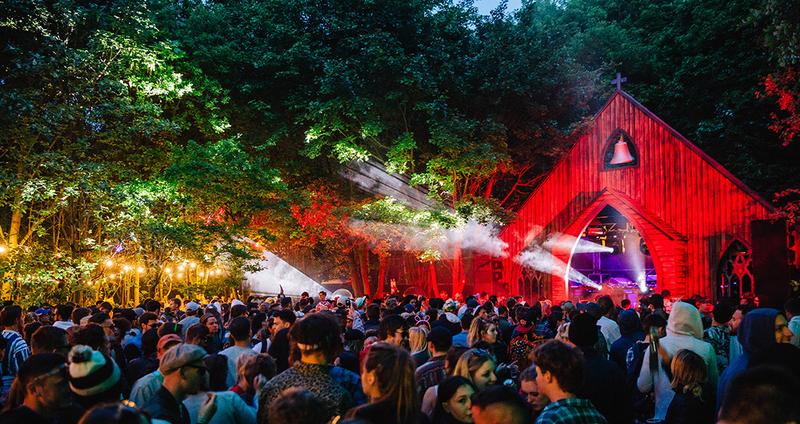 Lost Village was the best way to spend an incredible, but not long enough summer. Goals for this year are to clear my overdraft (good joke) and survive uni. My lovely mama came to visit for a few days when I got back from Lost Village but I was working so much/was so exhausted we barely got any time together. Luckily I'm planning a massive squad trip to Belfast, bringing the scots to the homeland and letting them experience Limelight for the first time. Tomorrow I'll be a guest blogger at Electric Fields festival and it will be my last blow out before uni starts. If you'll be there tomorrow look out for me I'll be style spotting!